Swabs get stuck when they become "bunched up." 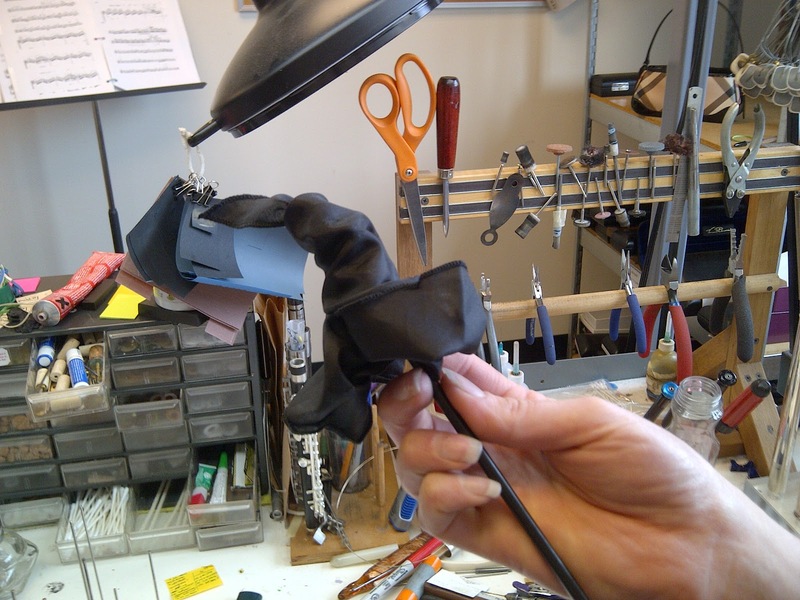 This week's reader's choice question for the Repair My Flute blog comes to us from Teddy Chik. Teddy asks, "Does getting a swab stuck in the piccolo damage it, and how do you suggest getting it out? We checked in with Repair Technician, Rachel Baker, for this one. Rachel tells us that getting a swab stuck in your piccolo can definitely cause damage. However, the damage occurs when you try to remove it. She says that the swab gets stuck because it is too tight -- there is too much material and not enough bore. Trying to get the stuck swab out from either end could cause it to get "bunched up" even more and make the situation worse, potentially causing more damage. So, what is the solution? Rachel sternly told us, "Do not force it. Bring it to a repair technician. Even I brought my oboe in to a repair tech early in my career when the swab was stuck." Whew. This is obviously a serious issue with the potential to cause serious damage to your instrument if you try to remedy this yourself -- so don't chance it! Also, try to make sure, ALWAYS, that you are swabbing your piccolo correctly. Need some additional instructions? Check out an earlier post on this blog where Rachel shows us how to properly swab at piccolo: http://www.repairmyflute.com/2012/05/stuck-swab.html.